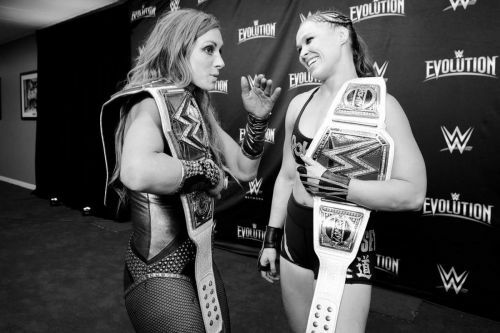 This week’s episode of Monday Night Raw shocked the world when Stephanie McMahon announced that Becky Lynch and Charlotte Flair will face each other at Fastlane for the Vacate Raw Women’s Title. However, then, Ronda came to the ring to take her title back but The Man Vs. The Queen didn’t get cancelled. Instead, Stephanie put a stipulation if Lynch wins; she will get reinstated to the WrestleMania main event match. Now, the spectre of the possible outcome of this match is concerning the WWE Universe but we all know a shock will waiting for us. It isn't likely that this match will end without controversy as WWE already had put a lot of effort in doing the buildup. 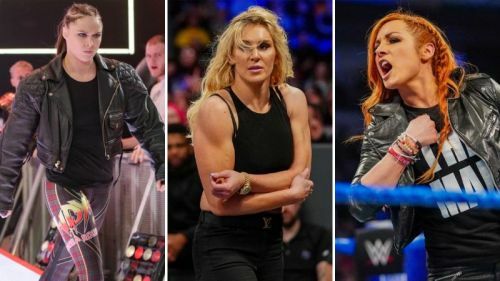 So here are 5 shocking ways WWE could end Becky Lynch vs. Charlotte Flair at Fastlane pay-per-view. I think the biggest shock for the fans in this match would be if Becky Lynch loses it. Currently, Lynch is so over with the WWE Universe that her loss at Fastlane could even create a riot among the fans. However, it is what the WWE really needs to create some powerful hype for WrestleMania. When Batista won the 2014 Royal Rumble match, he got booed by the whole arena. It is what will happen with Flair if she wins this bout, especially in a clean way. I know it will hurt Lynch’s momentum as well if she loses the match clean but, think about the consequences. Her popularity is far more than any other wrestler in this company and in truth, a loss would never hurt her especially if it’s done for her own good. Becky could lose her match, which will make Charlotte the most hated Superstar on the roster, but then, she could start a mini-feud with Stephanie McMahon. This is exactly what happened with Daniel Bryan when the WWE Universe screamed at the company to include him in the main event of ‘Mania. Lynch could fight with The Lady Boss at WrestleMania which will add her to the main event match.